Two ministers from Turkey’s Justice and Development Party (AKP) have been found by security authorities to be using a smart phone application named ByLock that caused hundreds of detentions in the wake of a coup attempt on July 15, the Sözcü daily reported on Sunday. Sözcü claimed that authorities deciphered ByLock and found that the application was also installed in the mobile phones of two ministers in the AKP government. Without disclosing the names of the ministers, Sözcü said one of the two ministers’ brother and another’s son has been working closely with sympathizers of the Gülen movement, a civil society movement inspired by the views of the US-based Turkish Islamic scholar Fethullah Gülen, who the AKP government accuses of masterminding the failed coup. The pro-government media in Turkey reported on Saturday that individuals detained for using ByLock would be tried on charges of membership in a terrorist network. 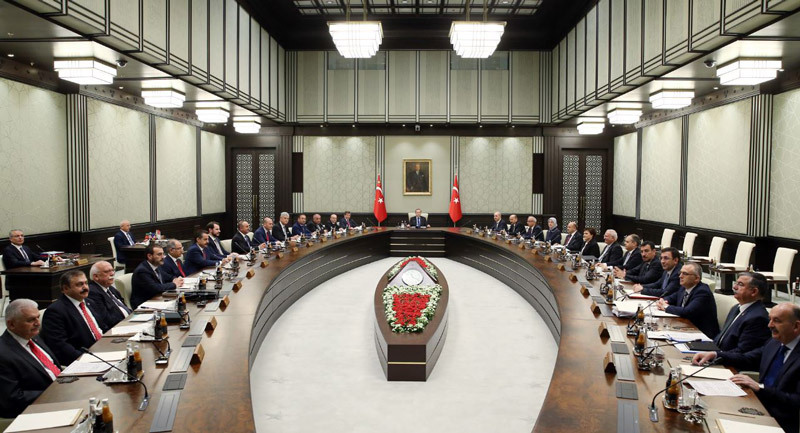 Without presenting concrete evidence or a court verdict, Turkey’s ruling party declared the Gülen movement a terrorist organization in a decision taken by the National Security Council (MGK) in May. In the relentless purge the AKP government launched after July 15, hundreds of people, including police officers, civil servants, lawyers and teachers, have been detained only because ByLock was installed on their cell phones, a sign of involvement in the coup according to the government. Despite accusations of involvement in the putsch, no evidence of coup plotting in ByLock messages has yet been discovered. Despite allegations of plotting the coup, the suspects will not be tried on that specific charge, but for alleged membership in a terrorist organization. A high criminal court in Hatay province on Friday rejected an indictment prepared for members of FETÖ, the so-called Fethullahist Gülen Terrorist Organization, a term the government coined to disparage the Gülen movement, saying that there is no such terrorist organization officially identified.